#5 He writes books which are funny and self deprecating. They are also strangely informative. In his book If Chins Could Kill, he gave up the fake blood recipe that they used in Evil Dead. Thank you, Bruce, for some great (and certainly offensive) Halloween costumes (not to mention all of my stained clothing). #4 He doesn’t take himself too seriously. I mean, the man was in an Old Spice commercial and made a movie called The Man With the Screaming Brain. #3 He is super approachable and will talk to you about anything. Once Charles Moran inquired of Mr. Campbell about his feelings on hot dogs at a book signing which prompted a conversation about baseball games. The entire Q&A was full of odd and eccentric questions which were answered in a light and humorous way. He really knows how to work his audience. #2 He made it cool for dudes to use the word “groovy!” Basically what I am talking about is with enough charisma and confidence you can say whatever you like. 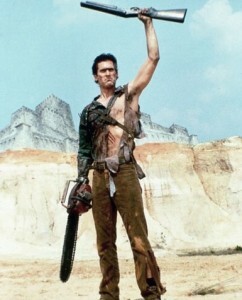 And the #1 reason I think Bruce Campbell is awesome…. 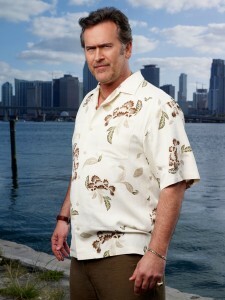 Bruce Campbell taught many of the men of my generation how to be a dude! “You see this, this is my boomstick!” or “First you wanna kill me, now you wanna kiss me. Blow.” Enough said. He taught them how to be a bit more…sleazy. I mean that in a good way. Not all girls want a clingy John Cusack at their window blasting Peter Gabriel after being repeatedly asked to go away. It’s called a restraining order. And for that I thank you, Mr. Campbell! 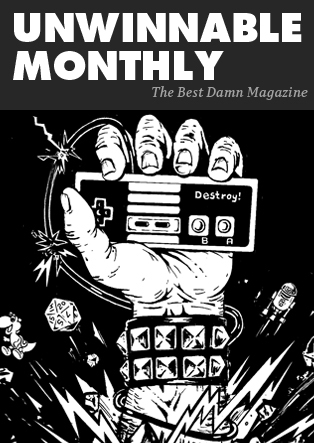 I’m the Dungeon Master, That’s Why!